Topshop is fabulous for coats. You get what you pay for when it comes to Topshop, good quality but still stylish and something that will keep you warm this Winter. I do like Winter, but I don't love it. I always look forward to it coming and then seem to get sick of it after a couple of months. However, I do love drinking endless cups of hot chocolate (Whittards, I'm coming for you), wearing lots and lots of layers and the dreaded C word (Christmas!). I definitely need something warm and cosy to get me through the next few months and I picked a few of my favourites from the Topshop website. I was very happy to see that a few of my favourites are actually from the Tall section. There's nothing more annoying than a coat you love that has slightly short sleeves. I also picked a wide range of styles as I have a terrible habit of buying very similar coats (I have too many black coats to count). 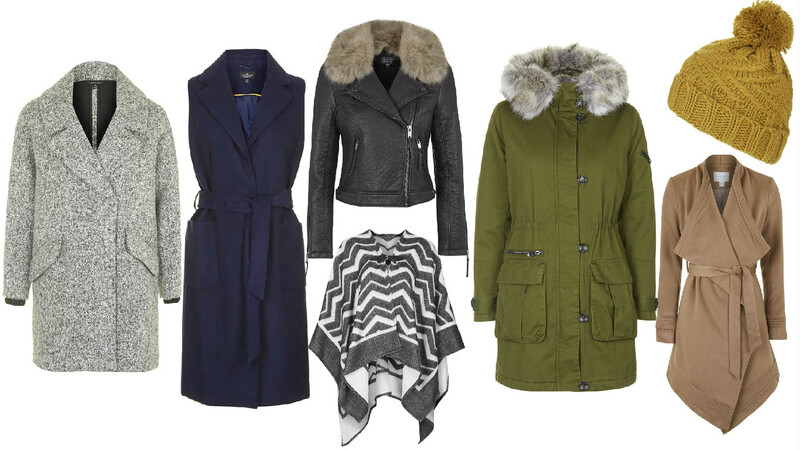 My favourite has to be the first one, I love the slouchy feel to this coat and the cosy material. What is your favourite from this wish list?